What you'll learn in this episode of The Sales Podcast... The importance of a not going it alone. How Walt Disney's limits were his strengths. How to set vanity and fear aside so you can succeed. How to choose to have a positive outlook on life. 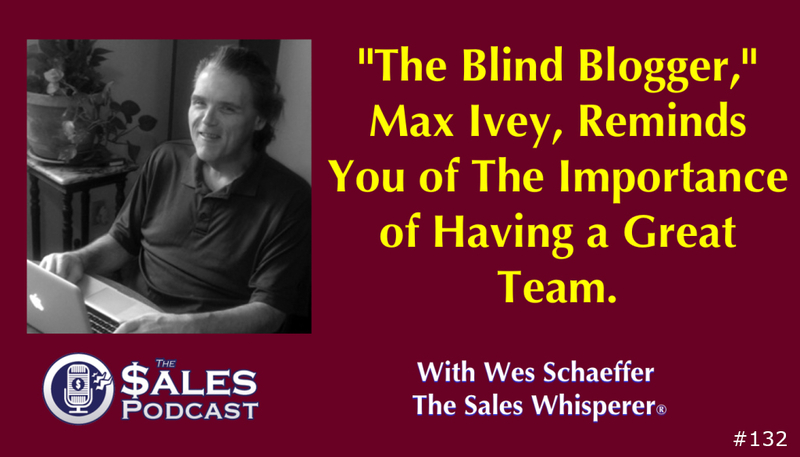 Links Mentioned Read Maxwell Ivey's blog at TheBlindBlogger.net Follow Max Ivey on Twitter Tools To Thrive Make Your Marketing Magnetic: This is where it all began for me. You can attract qualified, eager buyers like clockwork when you master the concepts in this valuable program. If you liked this episode, please let me know on Twitter.